This webinar explores the potential of ESCO business models to accelerate integration and adoption of electric vehicles into fleet operations. 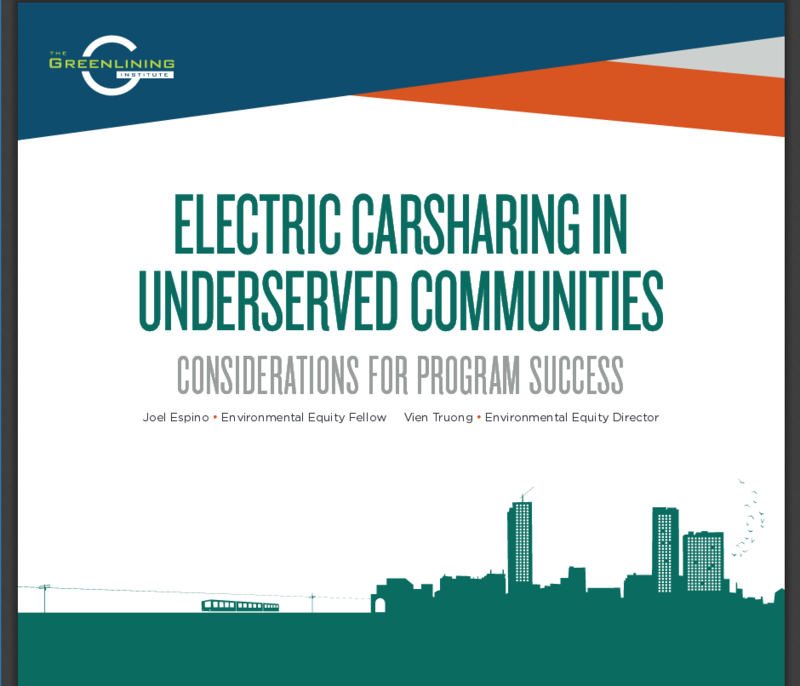 Electric Carsharing in Underserved Communities: Considerations for Program Success is a report by the Greenlining Institute. The goal of the report is to address both the potential benefits of carsharing programs in low- and moderate-income communities and specific elements essential to making such programs work. 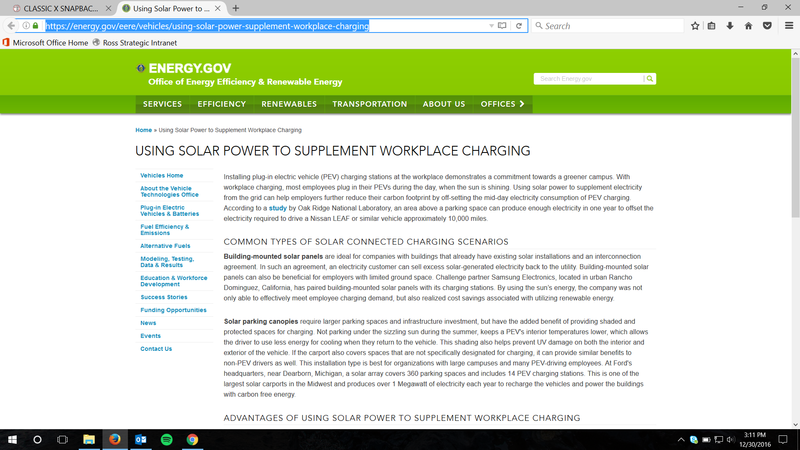 This US Department of Energy primer provides a helpful overview of using solar power to supplement workplace charging. 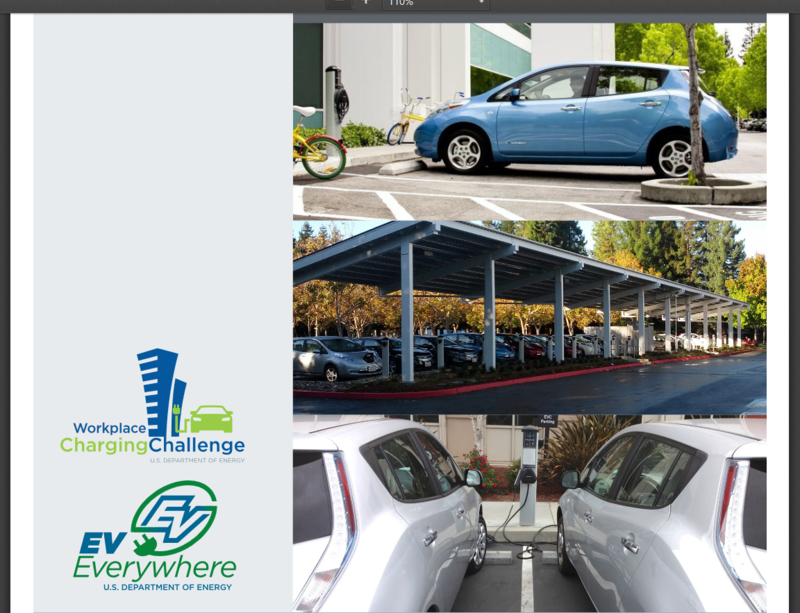 It outlines common types of solar connected charging scenarios and also provides links to supporting resources with additional details on using solar panels to charge EVs. 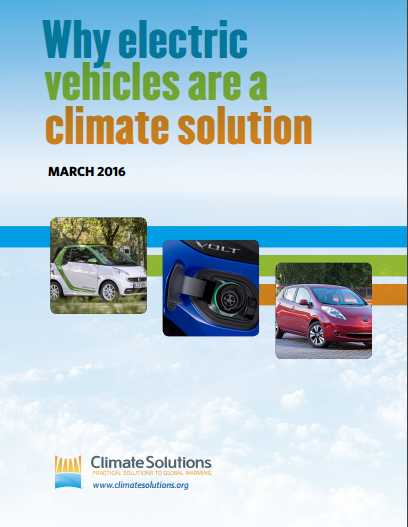 “Why Electric Vehicles are a Climate Solution” explores the dimensions of the climate opportunity that EVs offer, with a focus on Oregon and Washington. 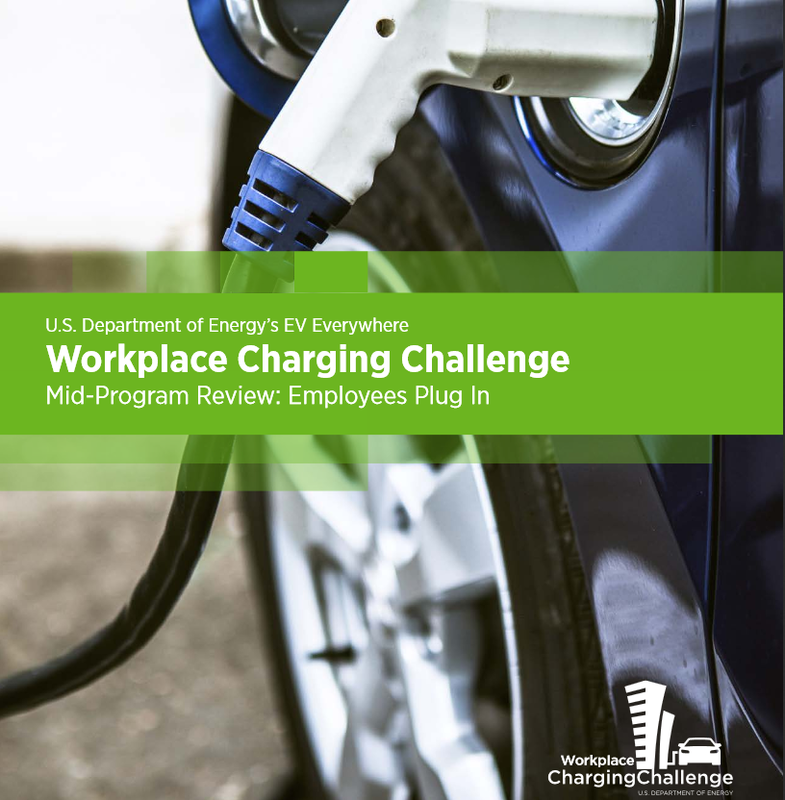 This Program Review takes an unprecedented look at the state of workplace charging in the United States. 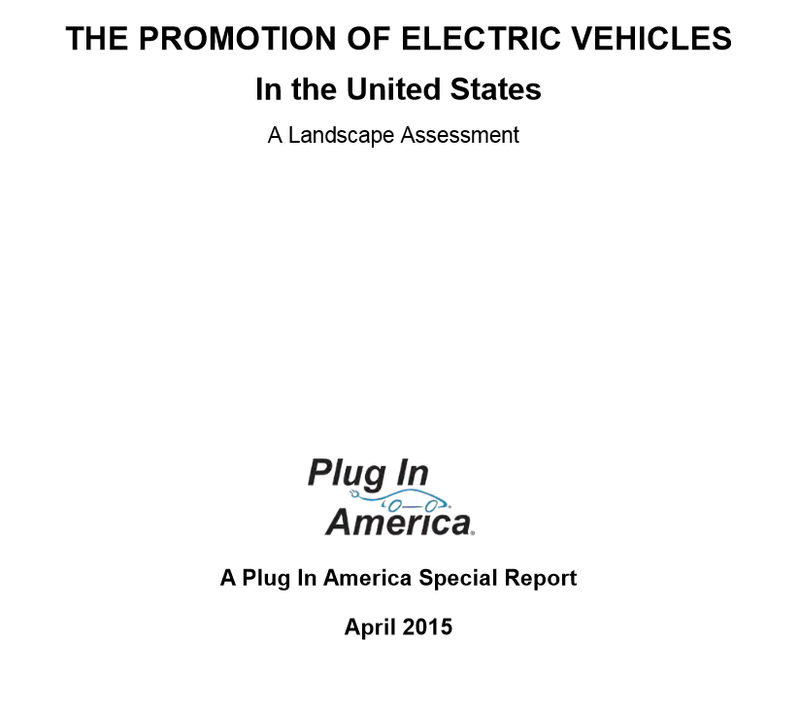 In this report, Plug In America takes stock of where the plug-in electric market stands in 2015, to better inform what needs to happen to take electric vehicle adoption to the next level. 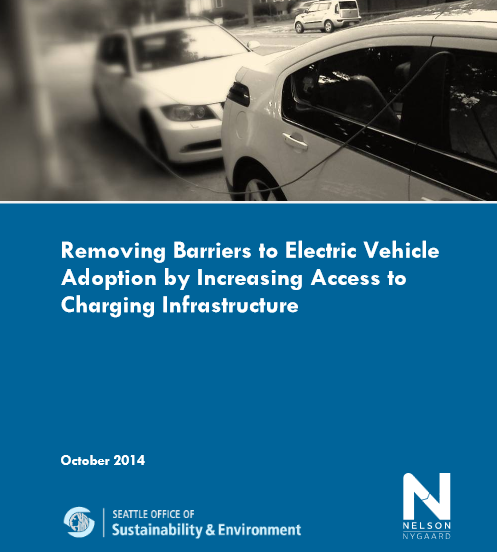 This study identifies the barriers faced by potential EV adopters who lack access to reliable off-street parking for charging and provides recommendations for equitable access to EV charging for residents in all housing types.